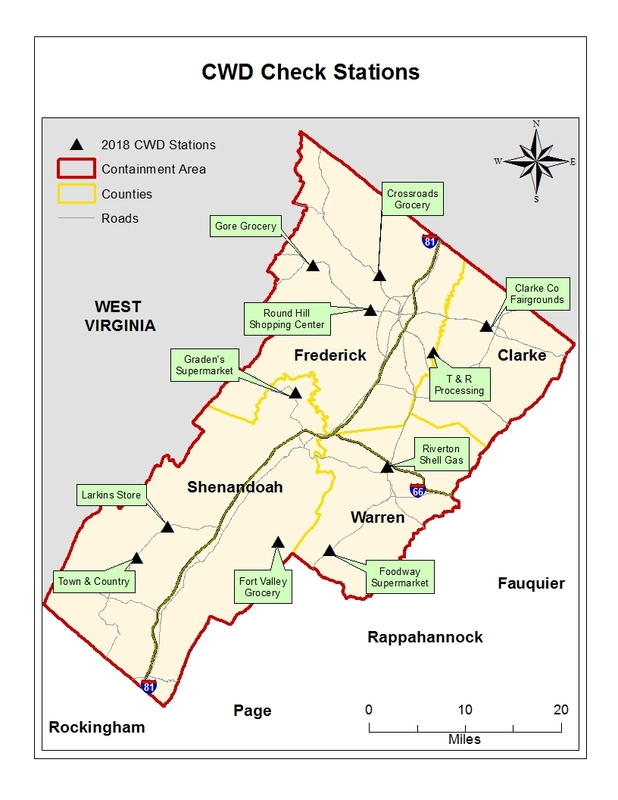 If you harvest a deer in the CA on either of the first two Saturdays of general firearms season you MUST take your deer to a CWD sample station for mandatory sampling. The Department thanks you in advance for your cooperation and assistance in helping monitor the spread of this disease threat. Hunting in the CA does not guarantee that you will harvest a CWD-positive deer but it does make it more likely when compared to hunting elsewhere in the state. 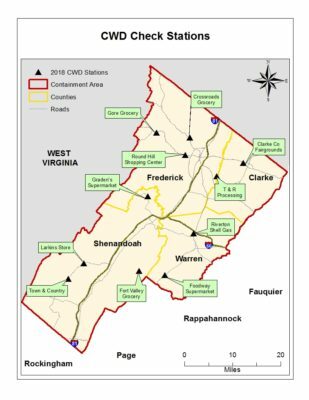 The Centers for Disease Prevention and Control recommends that all deer harvested in an area known to be CWD-positive be tested prior to consumption. If you would like to get your deer tested any time during the deer hunting season, the Department offers FREE testing at six refrigerator drop points located throughout the CA. These refrigerators will be set out at the beginning of archery season, removed at the end of general firearms season, and are accessible 24/7. For a map and list of locations please click here. Deer season in the CA opens on the first Saturday of October and runs through the first Saturday in January. Up to two deer per day may be harvested on private lands in the CA. 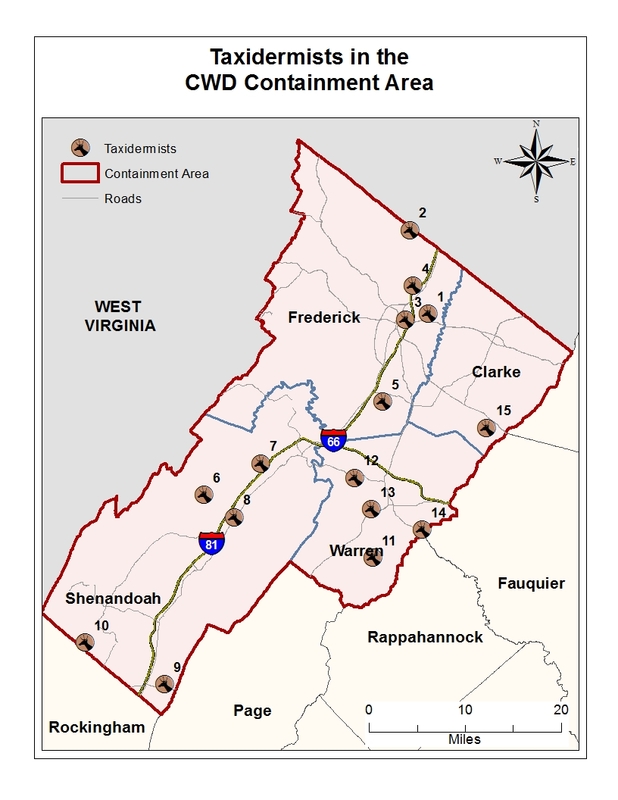 Earn-A-Buck is in effect on private lands in Clarke, Frederick, and Warren counties. Feeding deer is prohibited year-round in the CA. While whole carcasses of deer killed inside the CA cannot be transported outside the CA, they may be transported to the other three counties within the CA. The Department has compiled a list of taxidermists and meat processors in the Containment Area for your convenience. Infected parts of deer can contaminate the local environment and expose healthy deer to CWD. Leftover parts of a deer can be buried or double-bagged and placed in a trash receptacle for home pick-up o discarded at a landfill or compactor site.